Thank-You Phil Bowditch from the Hornsby House for trusting us with your car! We cannot thank-you enough! This Jean Jacket is very special to Pruthvi. It is as old as middle school and filled with pins of places she and her friends have visited. She said instead of postcards her friends would send her pins. Loved this idea! Luke & I cannot wait for this wedding! Our first Indian wedding and we couldn’t be more excited! The colors, culture, and of course food are so invigorating! These two will marry in just a few short months and their celebrations will last 3 days! Be sure to send us lots of coffee and chocolate afterwards! Pruthvi is just gorgeous! She is going to make such a beautiful bride! And Akshat kept us laughing with his fun personality. Together these two are a beautiful couple! We met up with Akshat & Pruthvi in the historic part of Yorktown. Starting on main street near the Hornsby House we ventured around finding the coziest little spots for them. We also cannot thank Mr. Phil Bowditch for letting us use his Thunderbird! That little car ride was icing on the cake! Their wedding is going to be amazing and Luke & I are so excited and truly honored that these two would have us capture this momentous occasion! 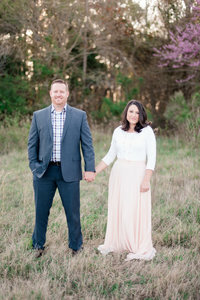 Sharing today some of our favorites from their Engagement Session!